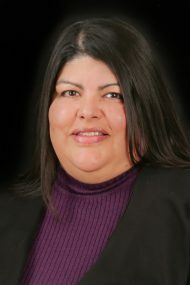 Cynthia Rubio brings with her 31 years of success in the escrow field. Her keen attention to detail, strong skill set, and ability to anticipate the various challenges that come up in complex transactions has differentiated her from her competition. An escrow officer on which you can rely, Cynthia has worked for only two companies in her career, showing her dedication and loyalty and why her reputation in the Auburn area stands out. Additionally, Cynthia prides herself on her communication skills and understanding the importance of returning phone calls and emails expediently. Whether you’ve been working with Cynthia for 30 years or you are a brand new client, you will benefit from her high level of proficiency, her practical approach, and her overall exemplary level of customer service. Cynthia is dedicated to making your escrow experience smooth from start to finish and one that will leave you feeling confident in her outstanding and professional abilities.